Avios is well-known for offering great value on short haul awards. In particular, it is possible to redeem an economy flight for destinations 650 miles and below for 4,500 miles one-way, and 1,151 miles and below for 7,500 miles one-way. Here is a sample of destinations that are close to Hong Kong- you could easily hop to Taipei or Hanoi for only 4,500 miles, with Manila, Shanghai and Changsha just 7,500 miles away. KrisFlyer classifies Hong Kong under the North Asia 1 zone, whereas Guam and Micronesia are part of North Asia 2. One-way tickets are 12,500 and 22,500 miles respectively for Economy and Business, which can be very good value considering the flight can be upwards of 5 hours. If you’re looking to get to Micronesia from Hong Kong, United Airlines operates a flight from Guam that stops in TKK and PNI, however you’ll have a long connection in Guam which you can spend exploring the island. Although the United program underwent a change late last year, there is still good value to be had flying from Hong Kong to Australia/New Zealand. That’s because United classifies Hong Kong as part of “South Asia”, along with Bangladesh, Bhutan, Brunei, Cambodia, Indonesia, Laos, Macau, Malaysia, Myanmar (Burma), Philippines, Singapore, Thailand, Vietnam. As the example below shows, a flight from Hong Kong to Auckland via Thai Airways would only cost 25K miles in economy and 50K miles in business. Considering the flight time is close to 14 hours, this is a very good deal. As a business class passenger, you will also be able to enjoy a 30-minute spa treatment in the Thai Airways spa in Bangkok. One-way awards between Hong Kong and Hawaii cost 20k/35k miles for economy/business class. This flight is about 11.5 hours of flying with a transit in Japan or South Korea, so it represents very good value once again. If you go with the Japan option, you will be able to fly on ANA’s 767-300 and 787-9 aircraft. The 787-9 will have full flat seats. Emirates operates a fifth freedom route between Hong Kong and Bangkok that uses their A380 aircraft. 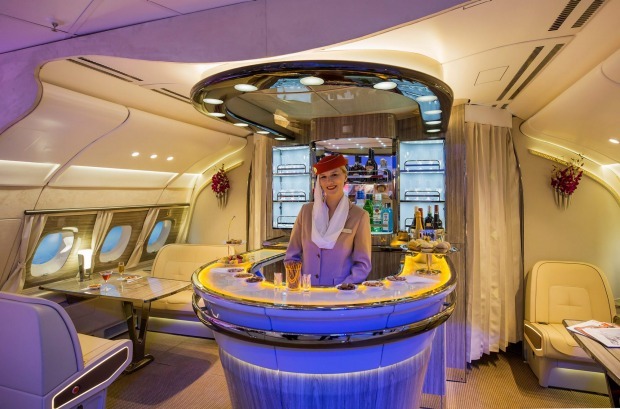 If you’ve always wanted to experience the over-the-top bling of Emirates cabins, here is one of the cheapest ways of doing so. You can get a full flat seat with an inflight bar- not bad for a 3 hour flight! 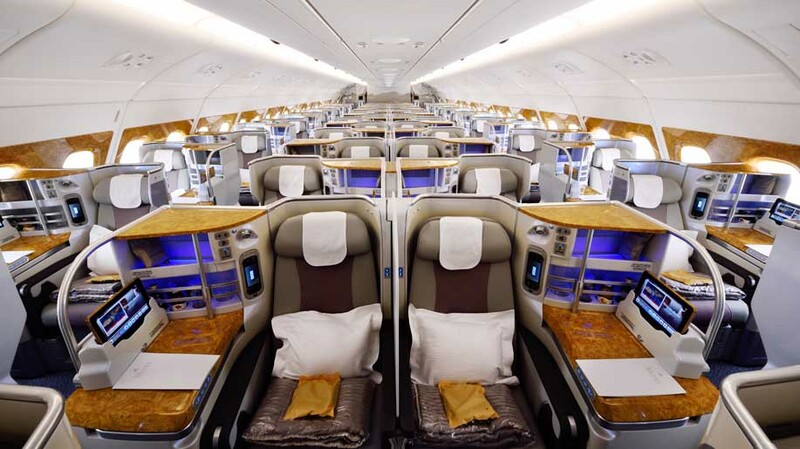 Emirates Skywards charges 40,000 miles for a round trip business class flight between these two cities. ANA Mileage Club offers very good value redemptions out of Hong Kong to Europe and North America at just 93,000 and 95,000 miles for round trip business class (58,000 and 60,000 miles for round trip economy). Remember that ANA Mileage Club does not allow one-way redemptions for partner flights. How to earn these miles? You can earn some of these miles through your bank credit cards, but for the widest selection of frequent flyer programs, you should use Mileslife. Mileslife has 16 different frequent flyer partners, all of which have direct credit agreements. You can use Mileslife and earn miles at over 20,000 selections around the world, from high end dining and retail, to luxury hotels and spas, to activities and attraction tickets, even from your daily walking and health activities. Download Mileslife here and start earning miles for your next vacation!